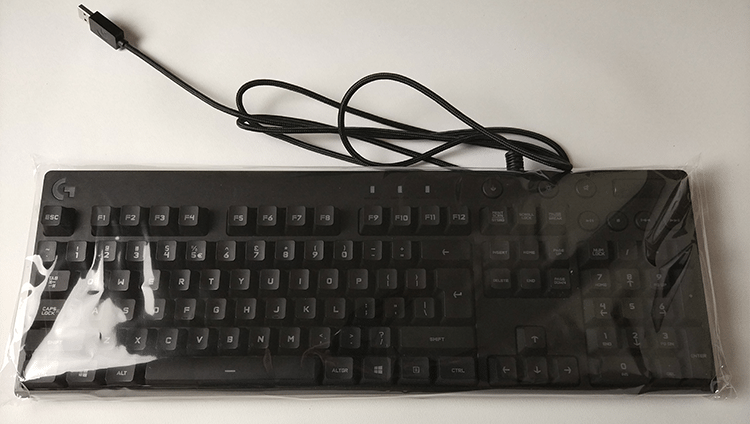 Mechanical keyboards have become a staple of the gaming community, and there are numerous options to select from, spanning a wide range of prices. In this review, we are going to examine the Logitech G810 Orion Spectrum, which is one of the company’s high-end models geared towards gamers, with specially designed Romer-G switches and fully programmable RGB backlighting. 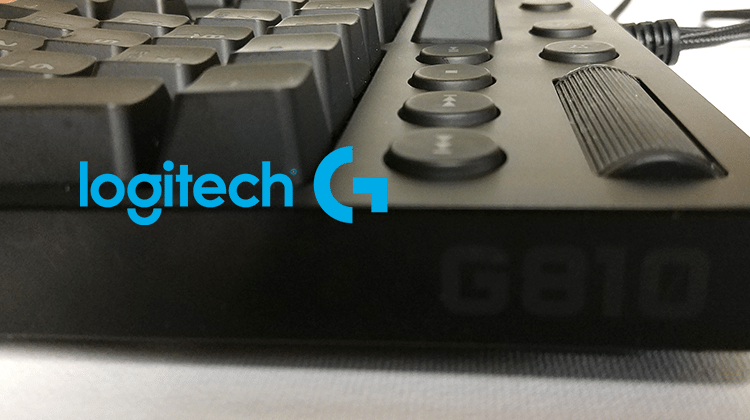 Did you like the Logitech G810 Orion Spectrum? 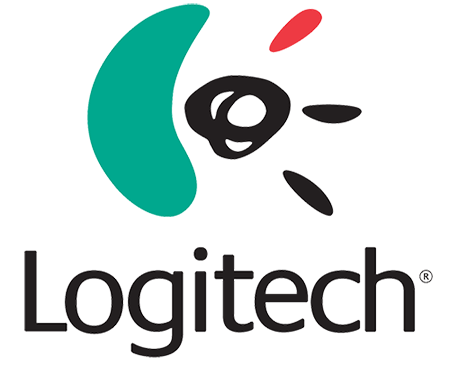 We don’t believe that Logitech needs any introduction, but we will mention that the company has been around since 1981. They began with the sale of computer mice - which were a relatively new accessory at the time - and soon became the worldwide leader in that market. Nowadays, Logitech is well known for multiple kinds of peripherals, such as cameras, keyboards, mice of course, and so on. Their products focus on innovation and high quality, not only for gaming but also for everyday use. Furthermore, the company has an excellent reputation regarding its support policies, and users around the world report a tremendous aftersales experience. Logitech G is the gaming division of the company, which designs high-quality products for gamers. Τhe Logitech G810 Orion Spectrum is one of the company's top mechanical keyboards, designed with gamers in mind. The keyboard was released in February 2016, but as we are going to see, it is still a great solution - not only for gamers but also for general usage. 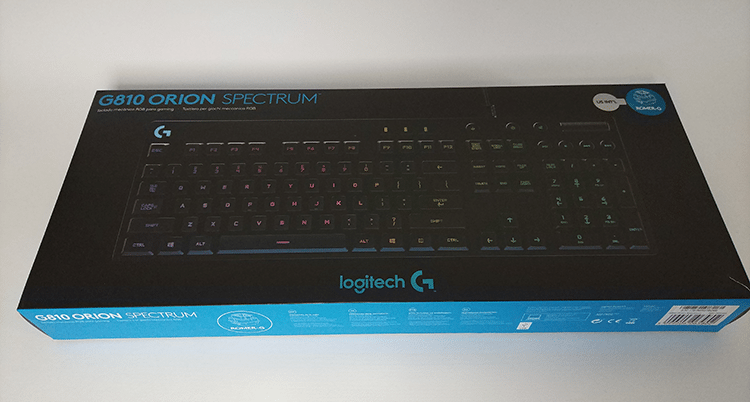 The Logitech G810 Orion Spectrum is a full-size keyboard (104 keys) with RGB backlighting. It features Romer-G switches, which is a mechanism designed by Logitech for improved endurance and performance. The switches are supposed to deliver near-instant responsiveness, with a 25% shorter actuation point than other switches. As for the endurance, they were tested to 70 million keystrokes, which makes them 40% more durable than different standard mechanisms. Moreover, the unit has extra media keys that allow the user to control the background track without exiting the game. With the multi-key input (26-key rollover), the user can also execute complicated moves without losing a single stroke. 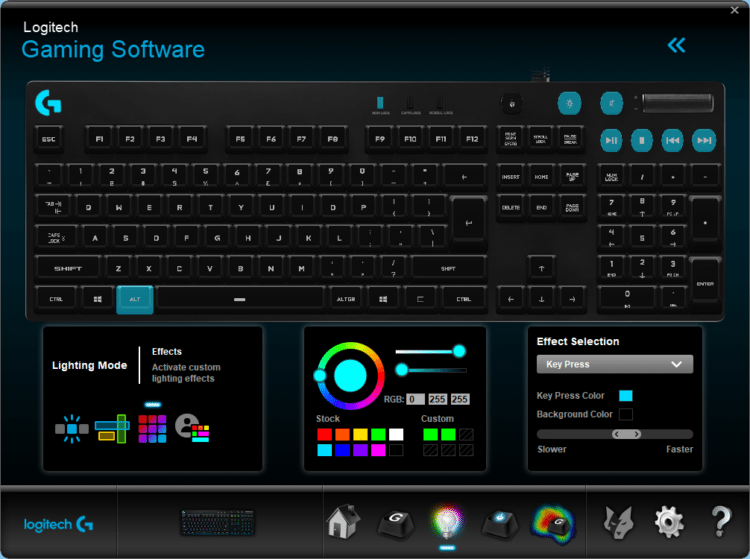 Along with the Logitech Gaming Software, we can also adjust any aspect of the keyboard, regarding macros or the backlight effects. The product's dimensions (WxDxH) are at 444mm x 343mm x 153mm, while it weighs at 1180g. 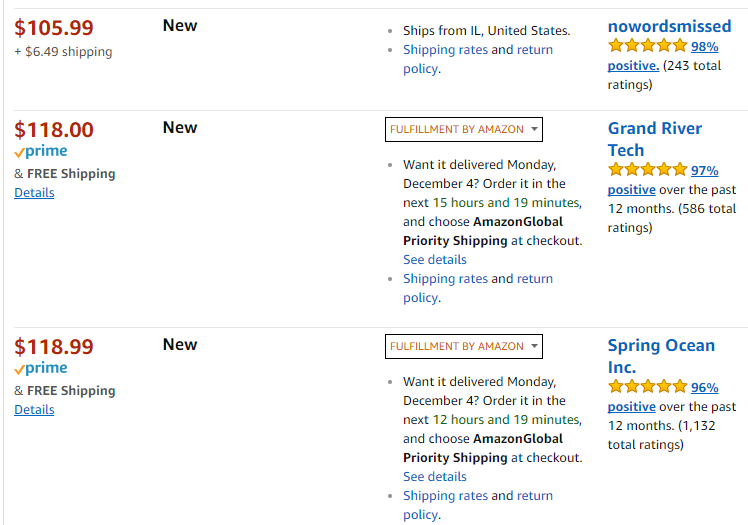 We can find Logitech G810 on several vendors in Amazon.com, with the cost, as of this writing, ranging between $105.99 and $129.00. The package features a blue and black color combination, and we can find all the information we need on the outside. 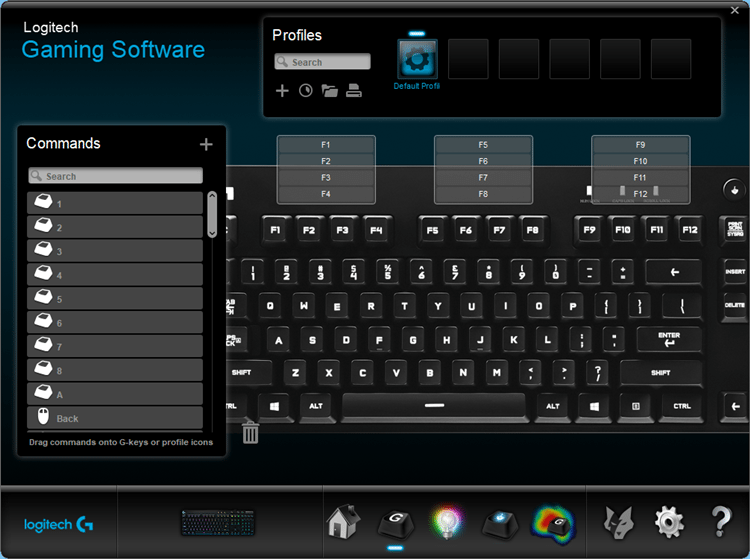 At the top side, we can see the switch type, as well as the keyboard layout. If we turn it upside-down, we are going to see its features and specifications. 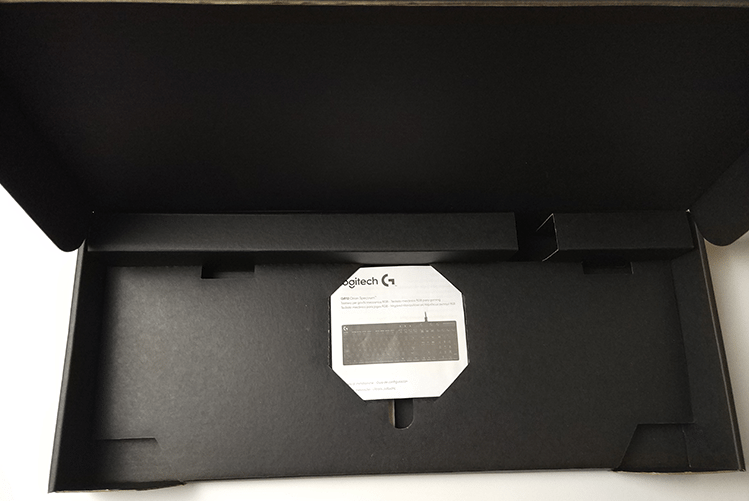 Once we opened the package, we found another box inside; this time it was plain black. 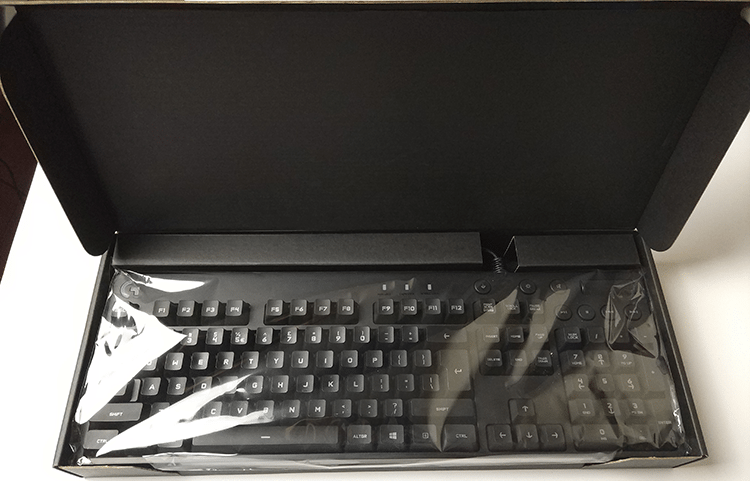 In this simple package, we will find the Logitech G810 Orion Spectrum. It sits at the top, in a plastic wrap. Right beneath, there’s the manual and the warranty leaflet, placed nicely in the middle of the box. And with that, we are done with the unboxing. The package doesn’t have any other accessories or extras, such as a keycap puller. So, we just had to remove the plastic wrap, and the keyboard was ready to go. Plenty of gaming keyboards are too fancy, with exotic shapes, extraordinary key fonts, and they tend to draw your attention in general. The Logitech G810 Orion Spectrum, however, is far from that. It has a sleek and simple design. Until you plug it into your computer, you won’t realize that it is a gaming keyboard. 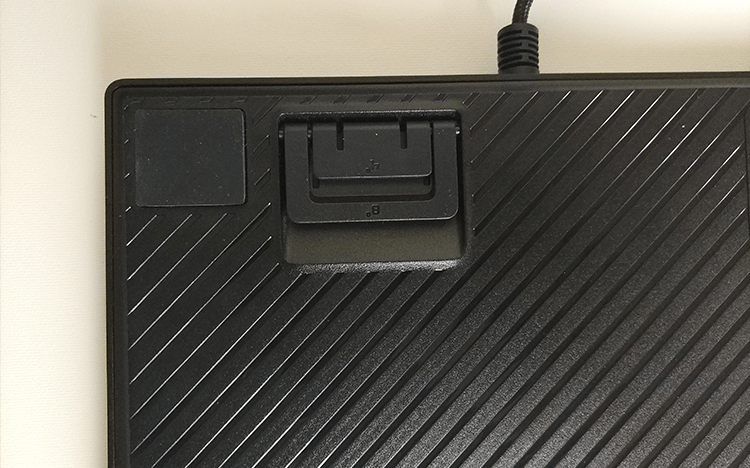 It has the usual rectangular shape, a distinct but regular font on the keys, and a nice Logitech the logo at the top left side. The bottom is covered with a beautiful track layout, while it also has five rubber legs to keep it from slipping on the desk. It also has two plastic legs with two scales, for a lower or higher lift. The media keys are on the right side along with the volume switch, which gives a nice touch to the whole design. 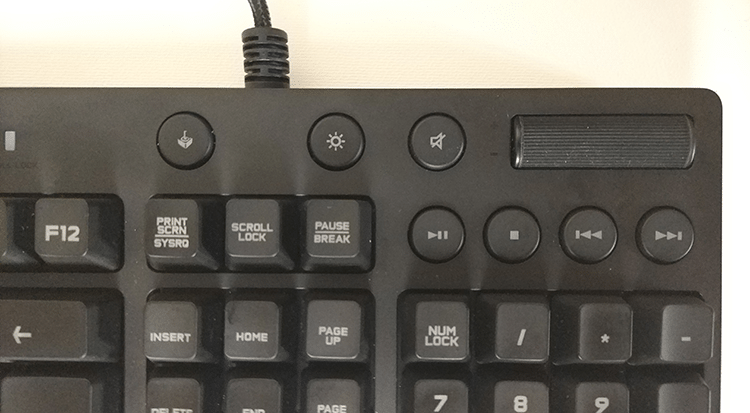 The special key lights (Caps, Num, Scroll Locks) are in the middle of the unit instead of the far right as we might be used to from most keyboards. 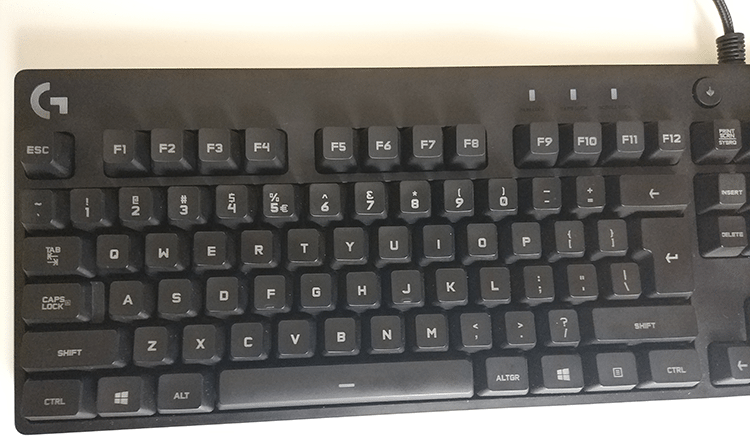 We tested the Romer-G switches for about a week, and we noticed some differences compared to Cherry MX reds that we had around. In general, they felt faster indeed, although we can’t tell if the were 25% faster, as Logitech advertises. The actuation distance was minimal, and we didn’t have to bottom down the switch, to register our key. That is probably the reason they are faster and very responsive. Furthermore, we found them slightly softer than Cherry MX red switches, although they have the same actuation force at 45g. The keycaps - and the frame in general - have a sweet matte finish, which prevented us from leaving our fingerprint marks on the keys. The stem is different from Cherry’s switches as well, since it has a hole in the middle, instead of the known cross design. The hole helps to deliver a better lighting with the LED light underneath, aiming at the center of the keycap. 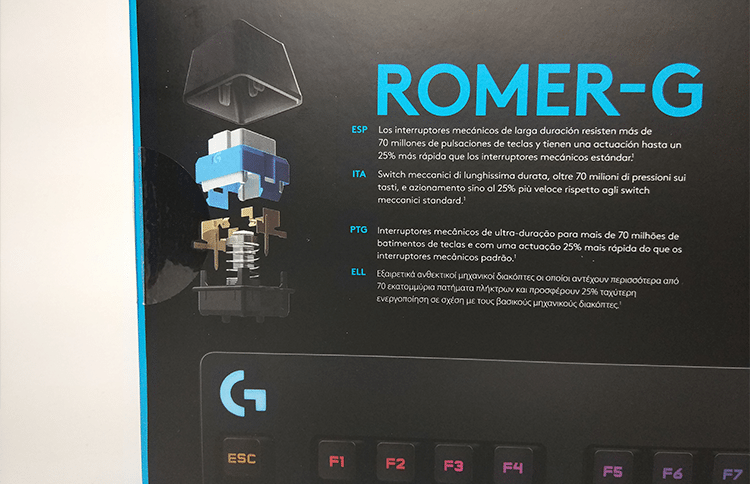 We found the Romer-G switches to be very comfortable, and they quickly became our personal favorites. In gaming, they were quick, accurate, and they felt great in general. Although, the big surprise was at typing. Since the keys don’t need to travel a long distance for the actuation point, they were exceedingly comfortable in office use, where we had to type for hours. Another advantage is the sound, which is not as clicky as Cherry’s reds. They are undoubtedly quieter than other mechanical switches, and they won’t disturb your roommates. Of course, some may be turned off by this feature, since the clicky sound can be very addictive. At this point, we should also mention that the Romer-G switches are not Cherry-compatible. 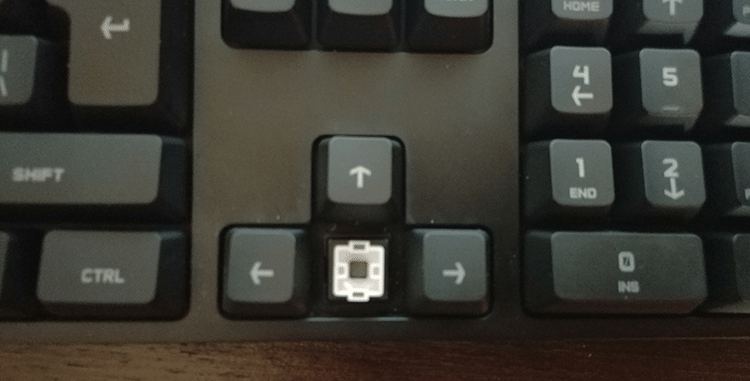 The 70-million keystroke durability makes them more reliable than the 50-million of Cherry MX, although we can’t test this feature. In any case, most users probably change their keyboard well before they reach the 50-million mark. And if you follow our maintenance tips, your electronic devices will always be as good as new. As we mentioned, the Romer-G mechanism allows the light to be in the middle of the switch, thus producing a slightly better result than under-the-key LEDs. 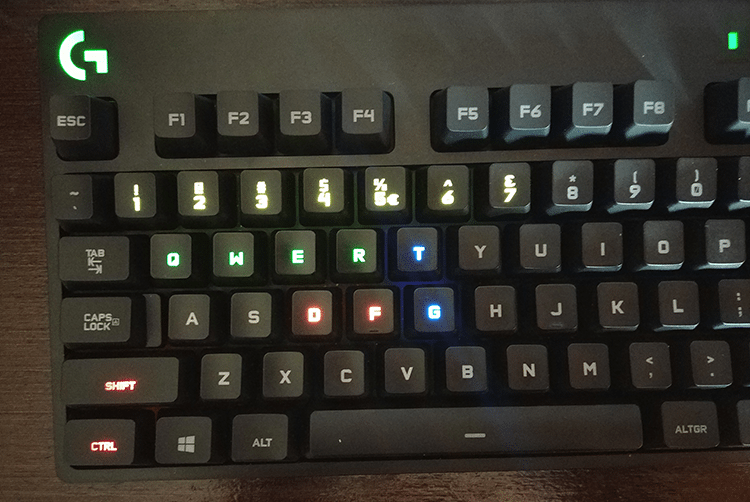 Once we plugged the keyboard into our USB port, it had a full RGB coloration by default. On the top side, there is a light key, which allows us to turn the lighting on and off. However, there aren’t any special key combinations that we can use to change colors. 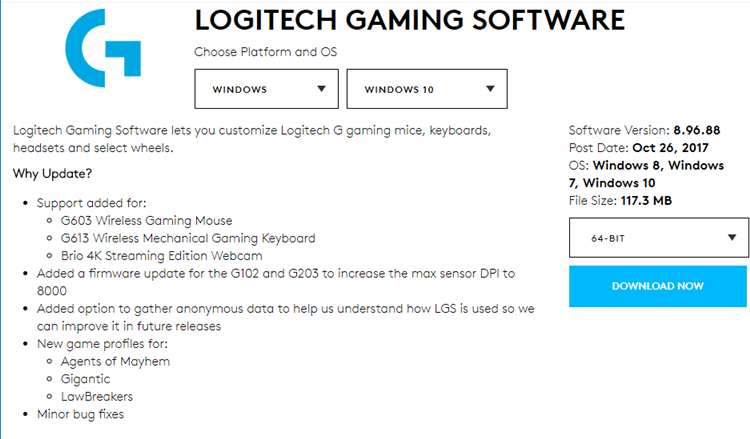 To make any custom changes, we need to go through Logitech’s special software. First of all, we had to download the software from this link. It supports all versions of Windows (even older than Windows XP), as well as Mac. The software has both 32-bit and 64-bit versions. The installation was straightforward. We had to opt-out of installing Overwolf, a third-party software that enhances the gaming experience. It is entirely safe though, and many gamers swear by it. The software is highly customizable, and it allows us to change anything we want, regarding the colors. There’s also a profile creation menu, where we can create new profiles and assign them to specific programs. That way, the keyboard will switch automatically to the desired profile, every time the designated application is active. For example, we can assign different color lighting for each of our games, or even various key commands. 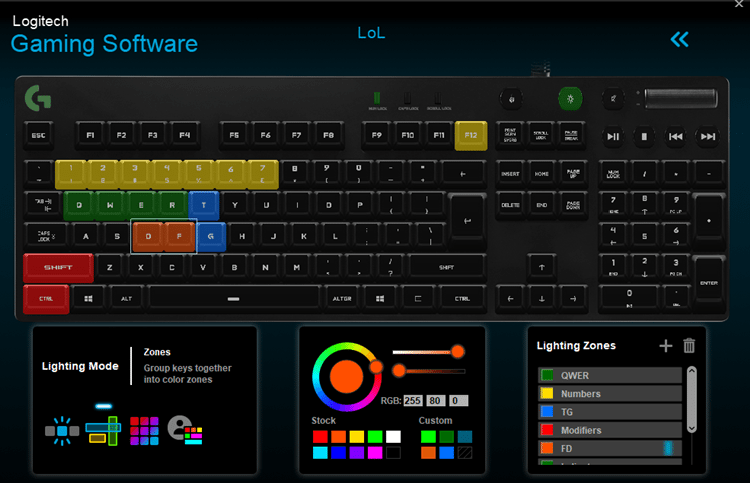 Logitech’s software has numerous pre-built lighting effects, but we can also create our own in the respective tab. In general, there’s nothing it couldn’t do during our testing, though we found it a bit difficult to master. Fortunately, here we found a detailed guide on how to use the software. We must admit it helped a lot. 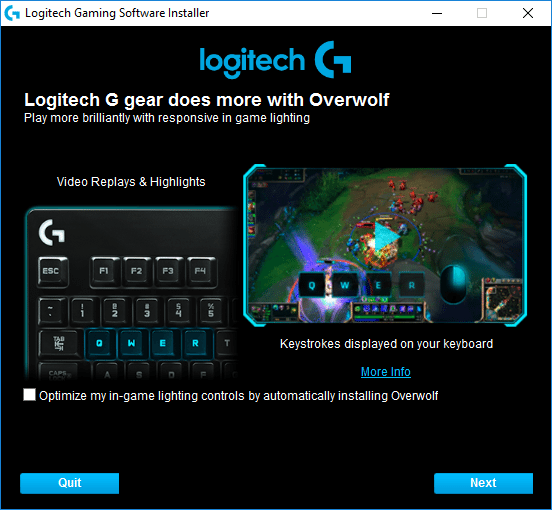 The Logitech Gaming Software can be used to control a wide variety of Logitech’s G peripherals, and you can actually sync them to have the same lighting effects. Here you will find the complete list of the supported products. The Logitech G810 Orion Spectrum is a great product, with all the necessary features a gamer might need. At the same time, it doesn’t fall short on typing, and it could please even the most demanding user. All in all, it has a minimal design for those not into very fancy keyboards. The switches, although not Cherry MX, they didn’t disappoint us at all. On the contrary, we found them quiet, fast, responsive and suitable for every use. The multimedia keys was a bonus feature of the whole experience, and the backlighting was exquisite. The $100+ price tag might seem steep for a keyboard, but we highly recommend it for gamers, as well as everyone looking for a great mechanical keyboard overall. However, if you like a noisy keyboard or a less conservative looking one, you should buy something else. Below we summarize all the pros and cons of Logitech G810 Orion Spectrum. 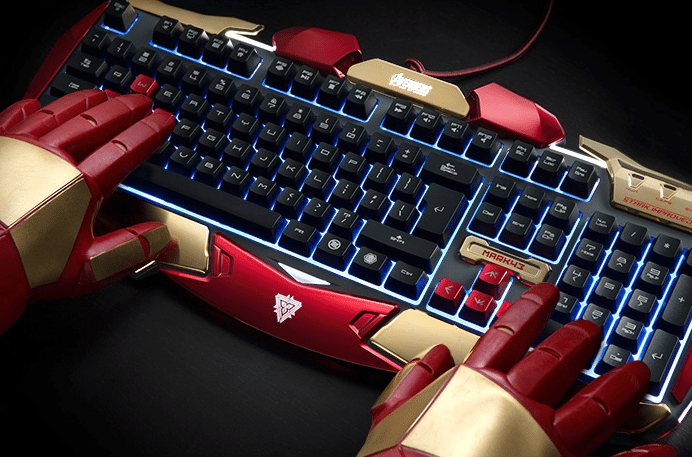 Even if you’re not a gamer, you might have already owned a mechanical keyboard. Did you enjoy this review? 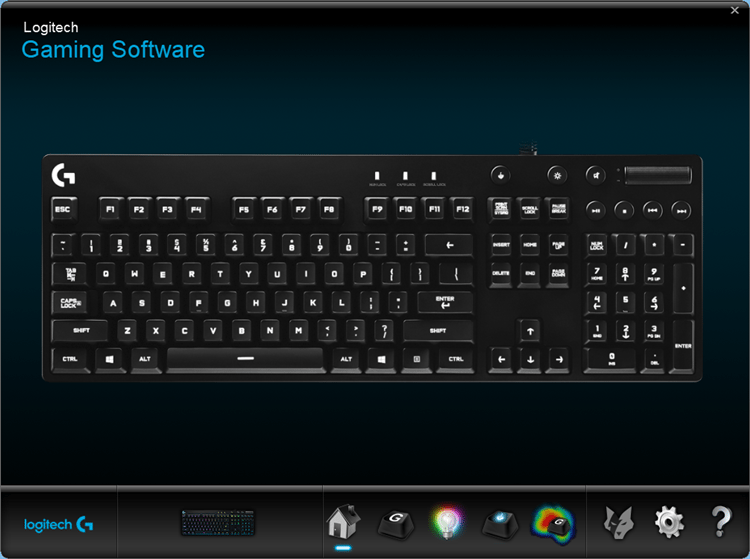 Do you intend to buy the Logitech G810? If you have any questions or you want to tell us your experience with the keyboard, feel free to leave a comment.